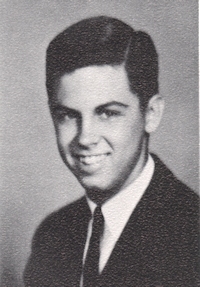 Obituary – Hoot, Phillip Monroe « Perry High School Alumni Association, Inc.
﻿Football ’59-’62; Basketball ’59-’62; Track ’60-’61; Student Council President ’61-’62; Boys’ State ’60-’61; Lettermen’s Club ’59-’62; Math Club ’60-’61; Homeroom President ’60’61; Junior Play ’60-’61; Christmas Vespers ’59-’61; English Assembly ’60-’61; White House Delegate ’61-’62; Science Assembly ’60-’61; All School Review ’61-’62, “Most Popular Boy” ’61-’62. 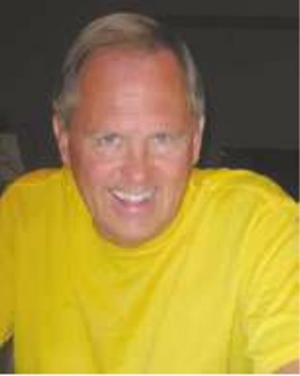 Phillip M. Hoot, 71, passed away on September 9, 2015 at his home in Phoenix, AZ. Phil was a 1962 graduate of Perry High School, received his MBA from the University of Oklahoma in 1971 and served in the U.S. Army as Commanding Officer of Headquarters Company at Fort Huachuca, AZ, from 1968-1970. He had a successful career in the banking industry for over 25 years serving as Chief Executive Officer/ President in Oklahoma and Texas. He was the creator and owner of Hoot’s Bagels in Lubbock, TX. He enjoyed Oklahoma Sooner Football and a decade of retirement with his family and friends. Phil was the son of long-time Perry residents, Dr. Delmar and Harriet Hoot. He is survived by his wife, Marian, daughter Currie Hemenway and her husband, Michael, grandchildren Tatum, 9 and Ty, 7, of Scottsdale, AZ and niece Angela Boese of Wichita, KS. In lieu of flowers and gifts donations are appreciated by the Alzheimer’s Association.